I got the idea for the Banner from a blog I follow called “A Diamond in the stuff” she always has cute ideas.It was super simple and pretty cheap. 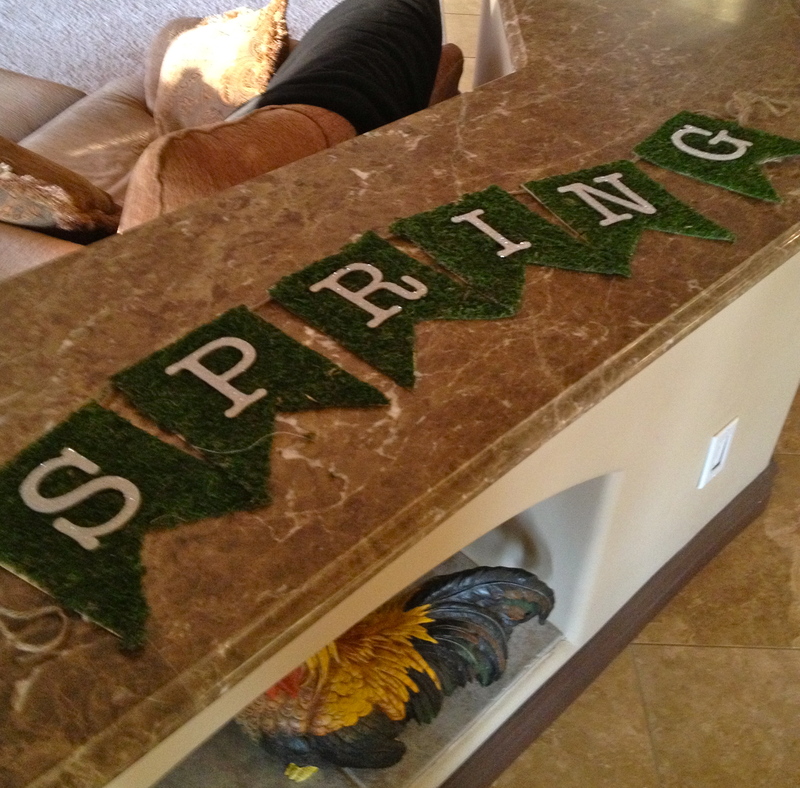 I bought the Moss from Hobby Lobby, it comes in a roll in the floral department for $20.00 bucks so don’t forget your coupon.I made the template for the banner out of card stock to match the size of my letters, which were also purchased at Hobby Lobby ($4.99 for the box with 40% off). 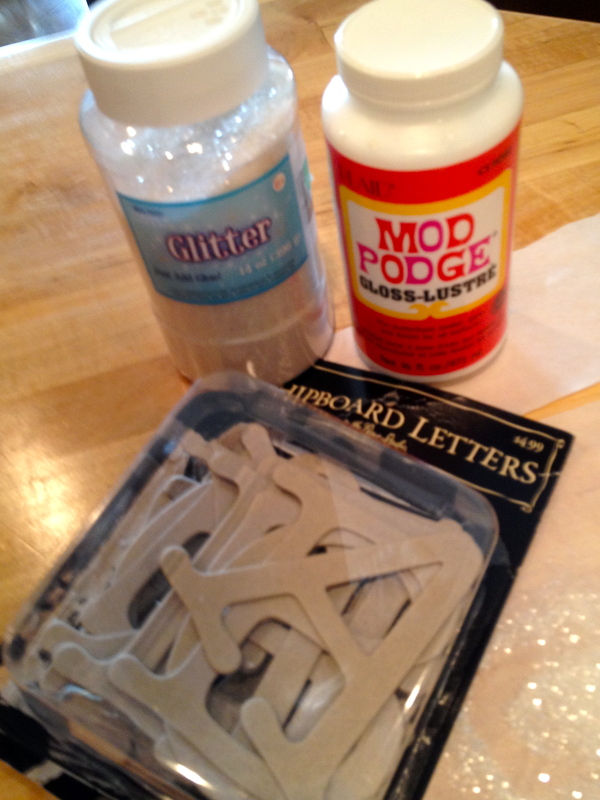 I glued the moss banner piece onto the card stock template with spray adhesive. 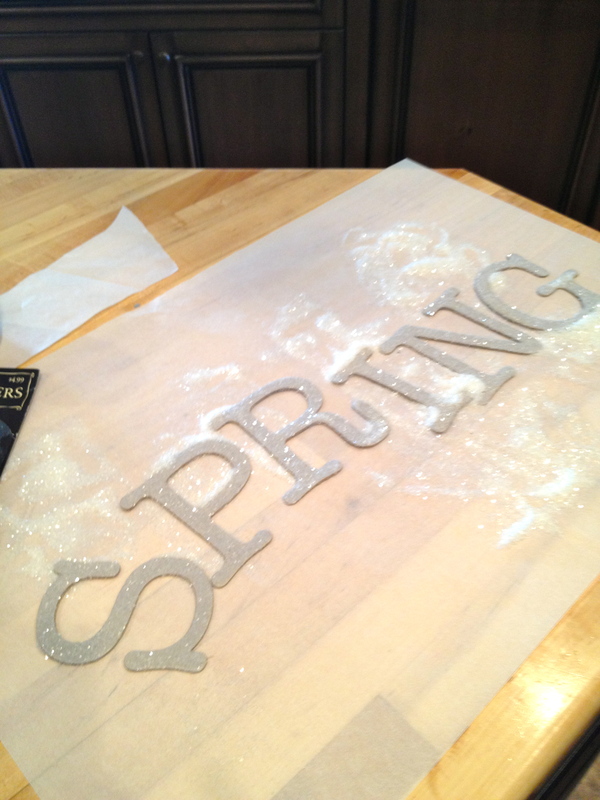 I then took my letters to spell “SPRING” and put a layer of Mod Podge onto them and sprinkled with glitter. 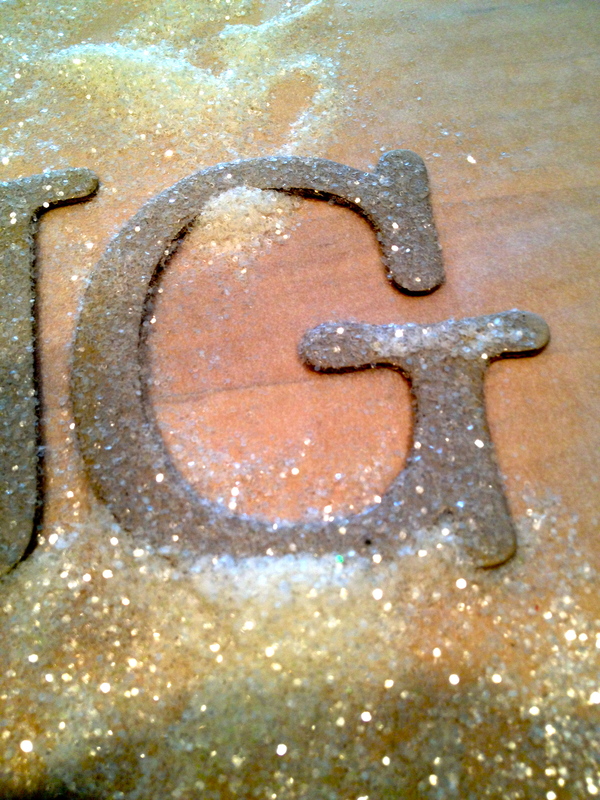 This is where you can make it your own and maybe spray paint them any color you want or spell out any other word you may want. 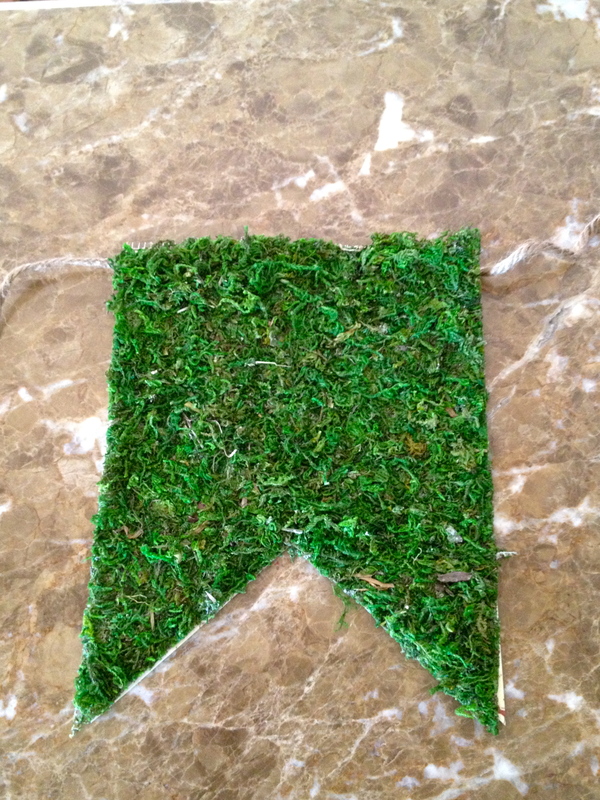 I shook off excess glue and hot glued them onto the moss banner pieces,got some twine and glued the moss pieces onto it, and there was my finished banner. 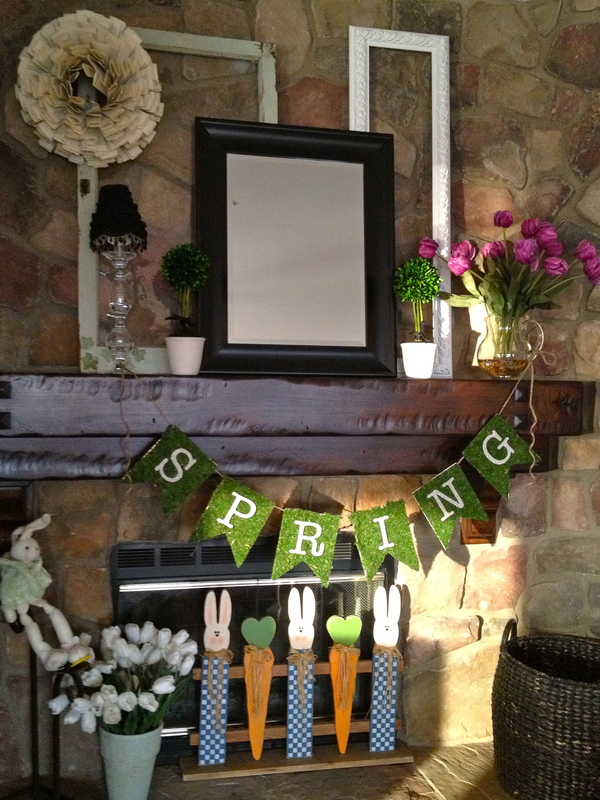 Simple, cheap and I can leave up all spring and enjoy.